Baby AAI is now walking and his portfolio is making some strides as well. He’s not talking yet and has no idea what a portfolio or equity is yet though. That’s perfectly ok because there is lots of time for compounding to work and for me to teach him about investing. I funded Baby AAI’s account with an initial $7500 in a taxable account and have been contributing $100/week since 02/27/17, so we’re almost at the one year mark. I made a recent transaction last week and swapped out PEP for a little more of HBI. HBI fell to below his cost basis and I couldn’t resist adding a little more under $20/share. I can always add PEP back later if I wish. So far HBI has been up and PEP has been down so it was a good trade so far. Just to be clear, I don’t plan on doing much “trading”, I plan to mostly buy stocks to hold and let them DRIP. I also added some RDS.B recently. Below is the current portfolio after a year. 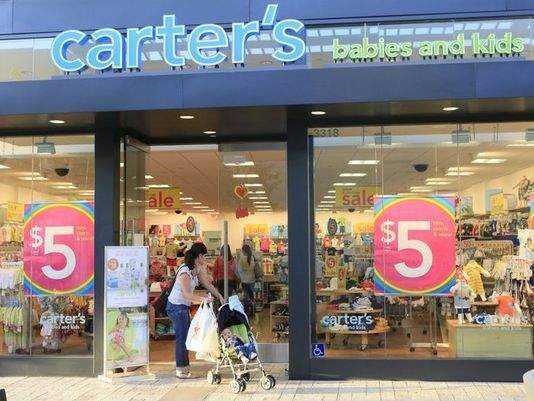 Carter’s is killing it from my initial purchase, up over 38%! I actually don’t mind some of these positions staying lower for a while so I can get more shares in the near-term from compounding. This is still a really short time frame to compare gains and losses. The account is currently valued at $13,448. 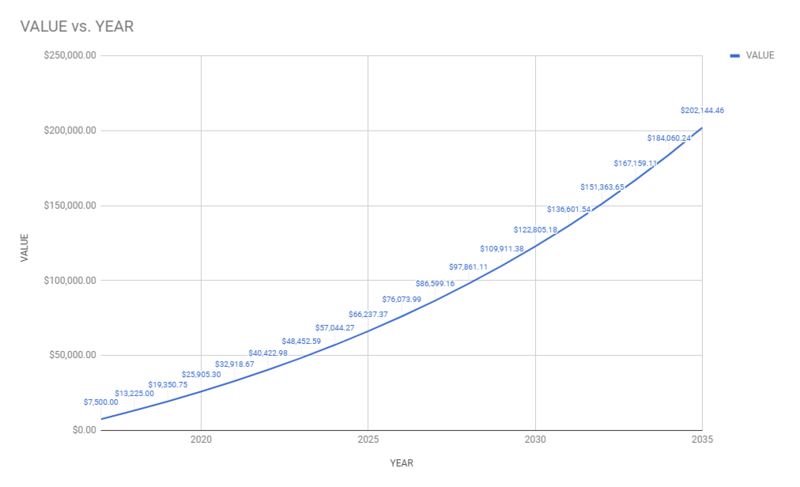 That’s above my projected amount of $13,225 assuming 7% compounding, see graph below. This portfolio still has a long time to compound and all shares but RDS.B are currently turned on to DRIP. In fact I’ve already added fractional shares of DIS, CRI and HBI by DRIPing. So basically, by the end of the first year, February 27, 2018, the portfolio should be valued at $13,225.00. I’m currently slightly ahead of schedule. I can’t wait to watch this portfolio grow! 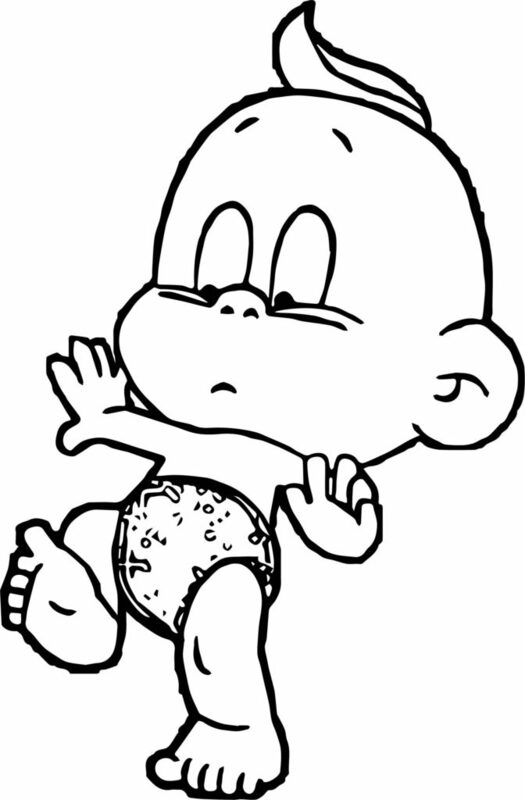 Baby AAI is only crawling and has little cares in the world besides food, playing and his parents. However he’s got a portfolio that’s compounding for him already. Here’s a look at the first stocks I purchased and how I expect that portfolio to perform until his 18th birthday. I funded Baby AAI’s account with an initial $7500 and have been contributing $100/week since 02/27/17, so 35 weeks. That’s a total of $11,000 in contributions. You can see the stocks I have purchased so far are Carters (CRI), Hanes (HBI), Disney (DIS) and Pepsi (PEP). This is a very short time to start looking at gains and losses. The account is currently valued at $11,105.22. That’s just a 1% increase. However, this portfolio has a long time to compound, all shares are currently turned on to DRIP. 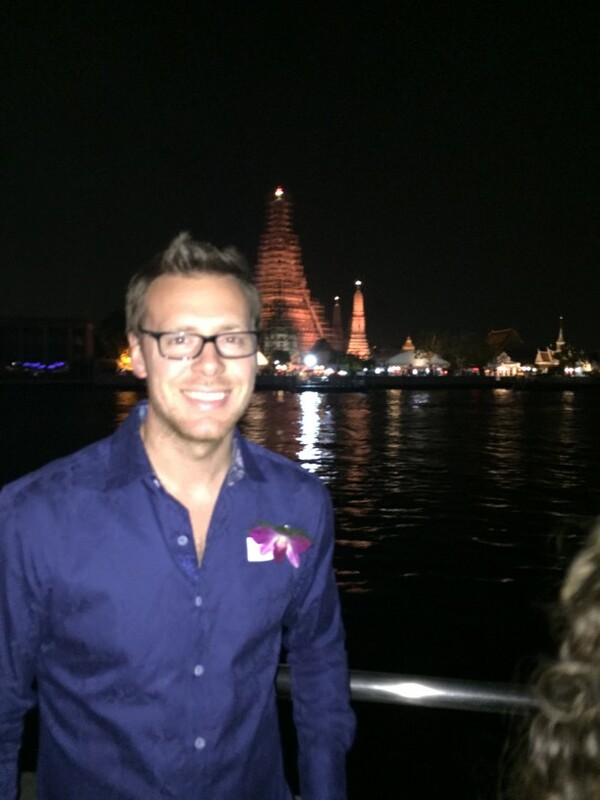 You can see I’ve already been able to purchase fractional shares by DRIPing into CRI, DIS and HBI. So how do I expect this portfolio to perform. Well I did the math for you, and I’m hoping to achieve a 7% growth rate which will put the balance right at $200,000 by the time he’s 18. That’s by doing nothing else but contributing $100/mo and letting the power of compounding work its magic. 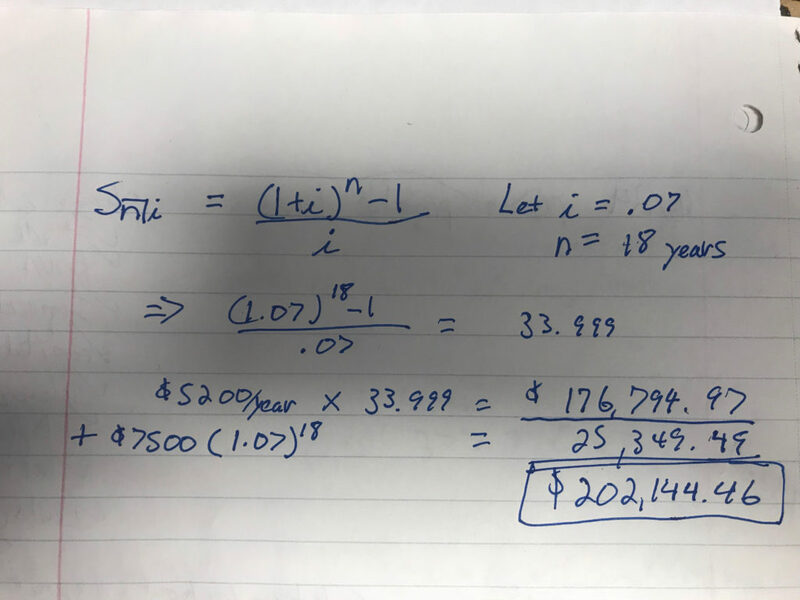 I used a simplified actuarial formula assuming $7500 contributed right away and $5200 ($100/month) contributed at the end of each year. 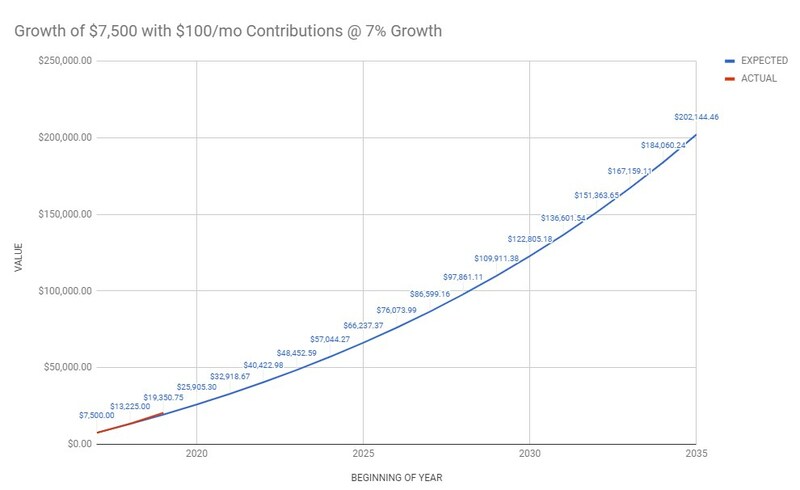 Here’s a graph of what the value should be at the end of the year, of course the stock market has large swings up and down so this is in a perfect world of 7% compounding each year. So basically, by the end of the first year, February 27, 2018, the portfolio should be valued at $13,225.00. My total contributions will be just over $100,000. You will notice that it takes a little over 12 years to reach this $100,000 number and less than 6 year later it doubles. It will be fun to watch this portfolio grow! What do you think?